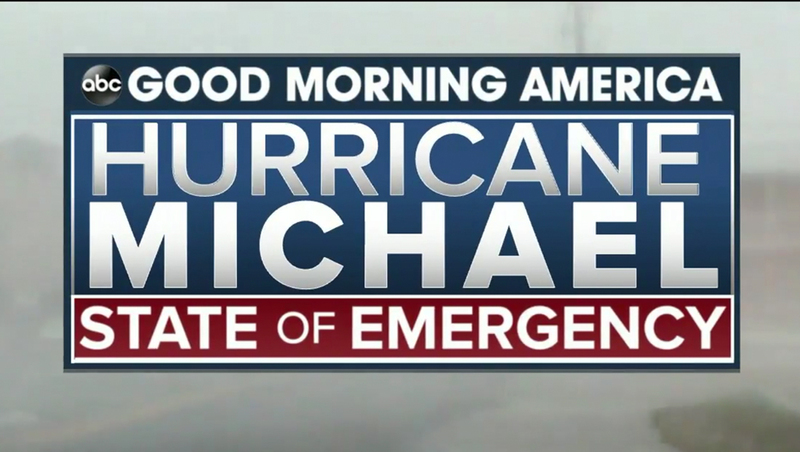 All three network morning newscasts lead with Hurricane Michael coverage Thursday, Oct. 11, 2018, though good chunks of the shows were devoted to other topics. 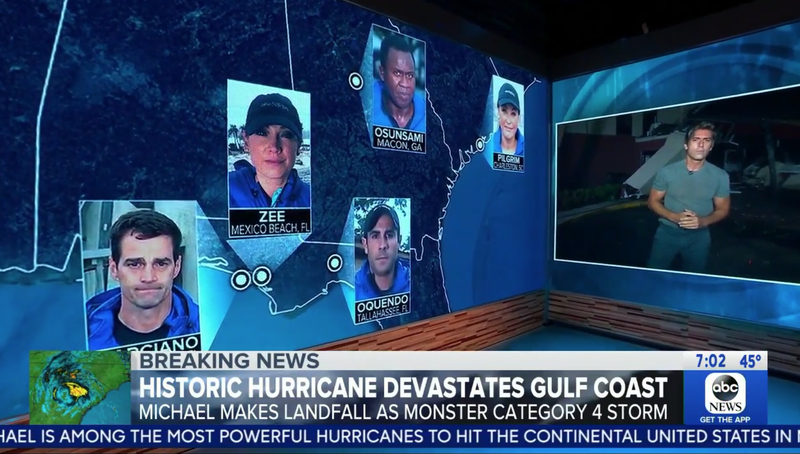 ‘Good Morning America‘ used its corner video wall setup with an electric blue map to showcase its team spread out across the Southeast along with a live shot from ‘ABC World News Tonight‘ anchor David Muir. 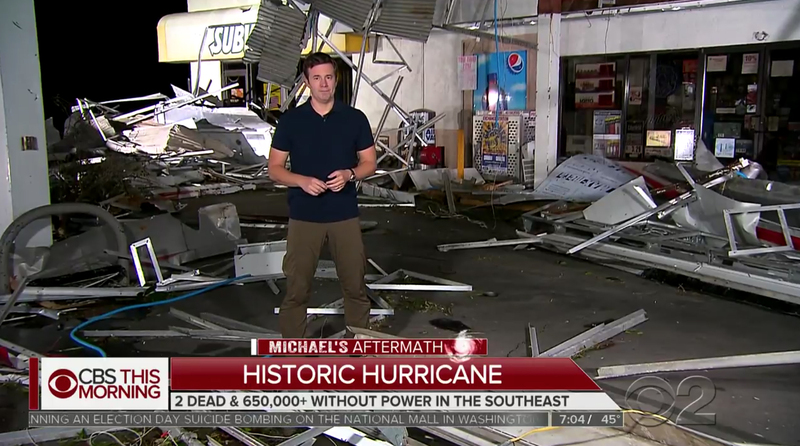 ‘CBS Evening News‘ anchor Jeff Glor joined ‘CBS This Morning‘ from in front of a destroyed Subway restaurant and convenient store. 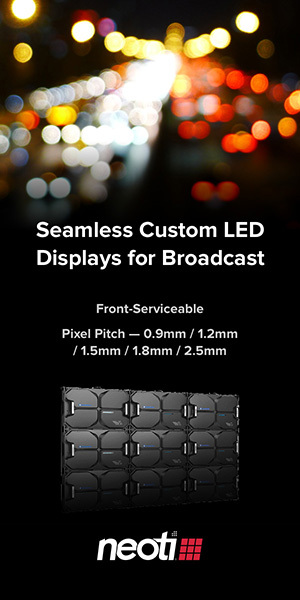 The broadcast’s branding has been updated to ‘Michael’s Aftermath’ but retains the textured typography. “Today,” meanwhile, used its various video panels and walls to showcase its team coverage and key facts about the storm.